Sidney Royel Selby III (born May 3, 1997), better known by his stage name Desiigner, is an American hip hop recording artist from Brooklyn, New York. He rose to prominence when his debut single "Panda", reached number one on the US Billboard Hot 100 chart. 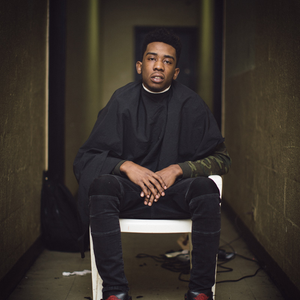 In February 2016, fellow American rapper Kanye West (who sampled "Panda" for his seventh album The Life of Pablo), announced Desiigner's signing to his GOOD Music imprint, under the aegis of Def Jam Recordings.